From left to right: Kathleen Kuehnast, Palwasha Kakar, Ani Zonneveld, Amb. Franz-Michael Mellbin, Rev. Susan Hayward. To further advance the conversation on the role of progressive and inclusive faith based organizations in eliminating violence against women and girls, MPV co-organized a side event entitled Engaging Transformative Religious Narratives for the Elimination of Violence Against Women. The event addressed rising tides of religious and cultural fundamentalisms and extremisms—in both the global north and south—that undergird violence against women and girls, and showcased inclusive and rights-affirming faith based initiatives to challenge the weaponization of religious and cultural narratives and empower women and girls to achieve gender equity from within various faith traditions. We would like to take this opportunity to thank the Ministry of Foreign Affairs of Denmark and Franz-Michael S. Mellbin, Danish Ambassador, Special Representative for Religious Freedom or Belief, and Reverend Susan Hayward of the United States Institute of Peace for their generous support in organizing the event. We would also like to thank the International Partnership on Religion and Sustainable Development (of which the government of Denmark is a member and MPV a partner) for their support as well. 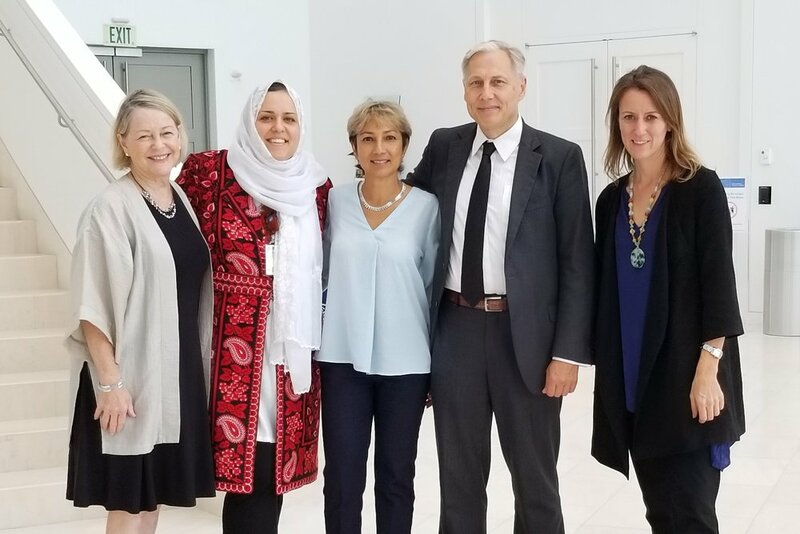 The US Institute of Peace and Ministry of Foreign Affairs of Denmark co-organized the side event "Engaging Transformative Religious Narratives" with MPV. 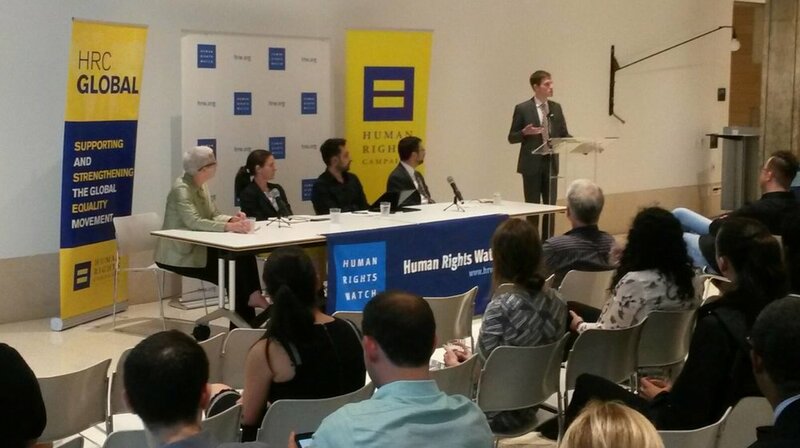 MPV participated in another side event entitled Religious Freedom in the Human Rights Framework, co-organized by colleagues and allies at the Human Rights Campaign and Human Rights Watch. The event addressed “how religious liberty coexists with other human rights guarantees, particularly those protecting the liberty and equality of marginalized groups.” Omair contributed as a panelist and spoke to the inroads that right-wing fundamentalist groups have made in certain UN spaces and detailed how these groups co-opt and corrupt human rights language to promote potentially rights violating interpretations of normative human rights standards. He also highlighted examples of violations to the right of freedom of religion or belief experienced by LGBTQI people and other sexual and gender minorities in specific Muslim societies. He affirmed that these violations are based on a prohibited grounds of discrimination and posited that states selectively respect and protect the right to freedom of religion or belief. Both events created spaces to affirm international standards regarding freedom of religion or belief, and both exemplified inclusive and rights-affirming faith-based human rights work. These events were crucial in that they broadcasted a cross-sectoral, normative understanding of freedom of religion or belief, and in effect produced messaging that countered warped interpretations of religious freedom espoused elsewhere. We once again unequivocally rebuke this interpretation of religious freedom as it is used to shield from accountability fundamentalist groups who seek institutional support to exercise their freedom to persecute, hate, violate human rights, and finance the exportation of rights-diminishing religious narratives abroad. MPV UN Representative Omair Paul on the Panel for Religious Freedom in the Human Rights Framework, a side event co-organized by Human Rights Watch and Human Rights Campaign.